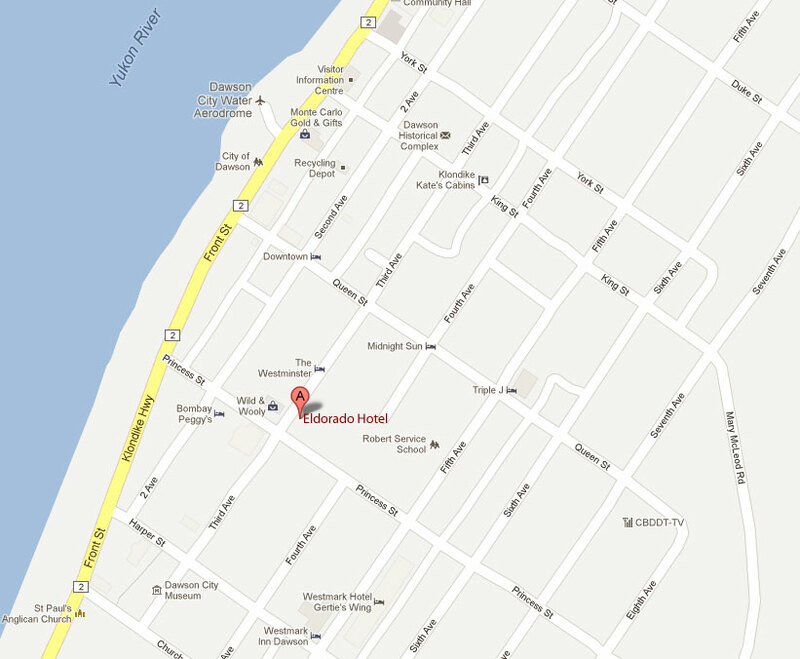 We are located at the corner of Third Avenue and Princess Street in historic Dawson City. If you approaching from the South, take the Klondike Highway all the way into Dawson City, turn right on Princess Street and left on Third Avenue. If you are approaching from the Ferry Landing, take Front Street past the shops, turn left on Princess Street, and left on Third Avenue. There is parking available next to the hotel, across the street, and on the street.